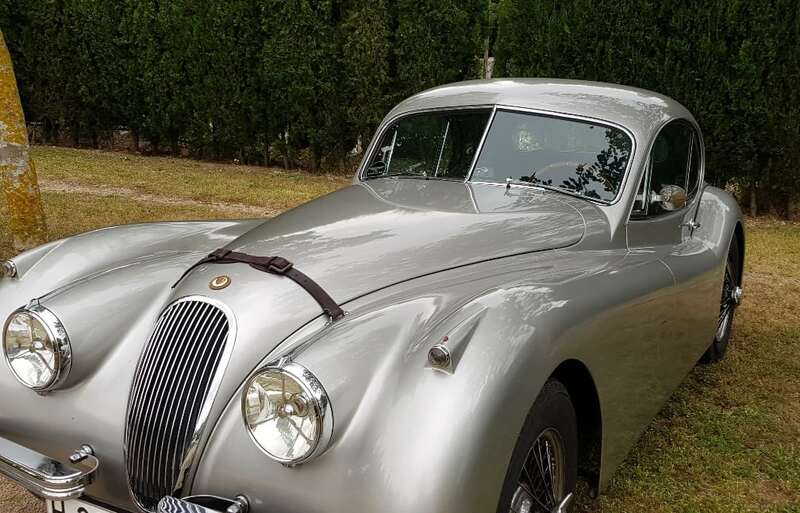 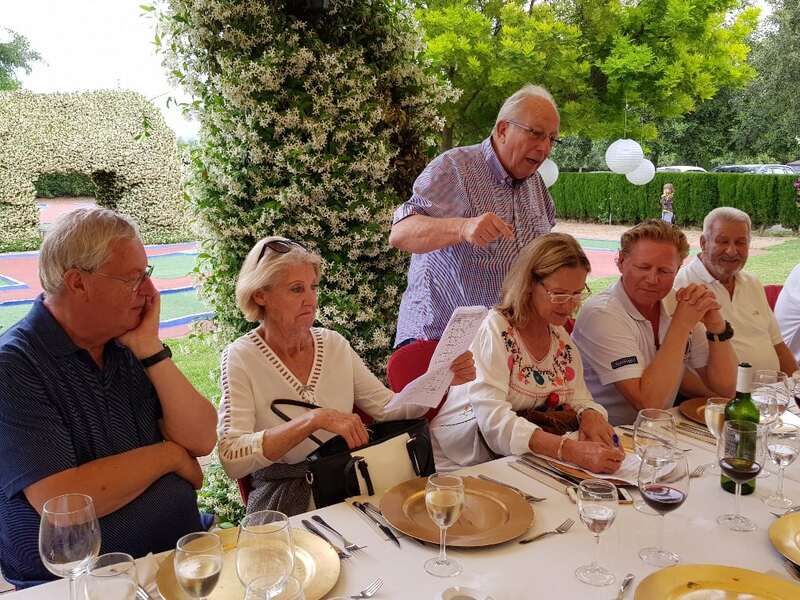 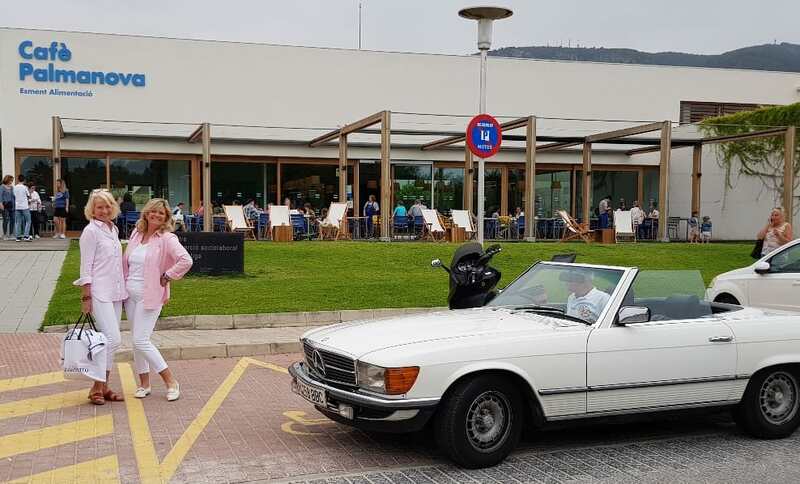 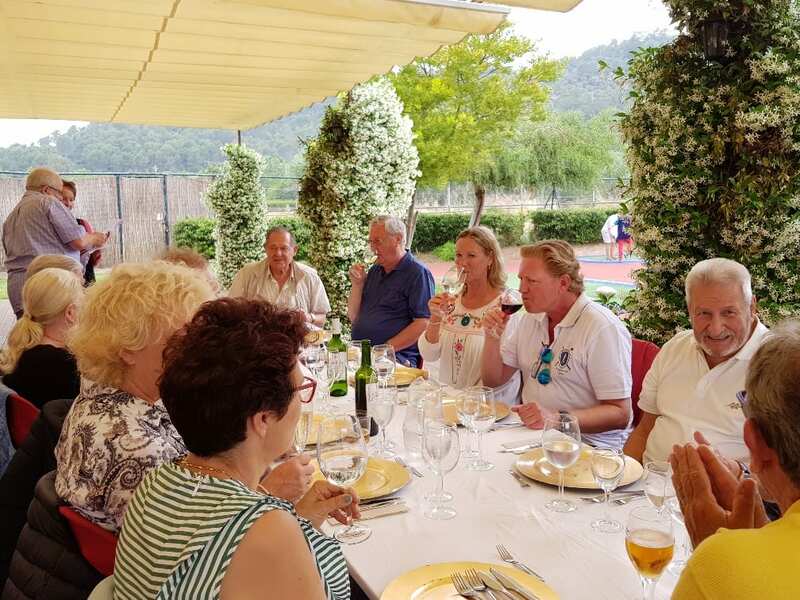 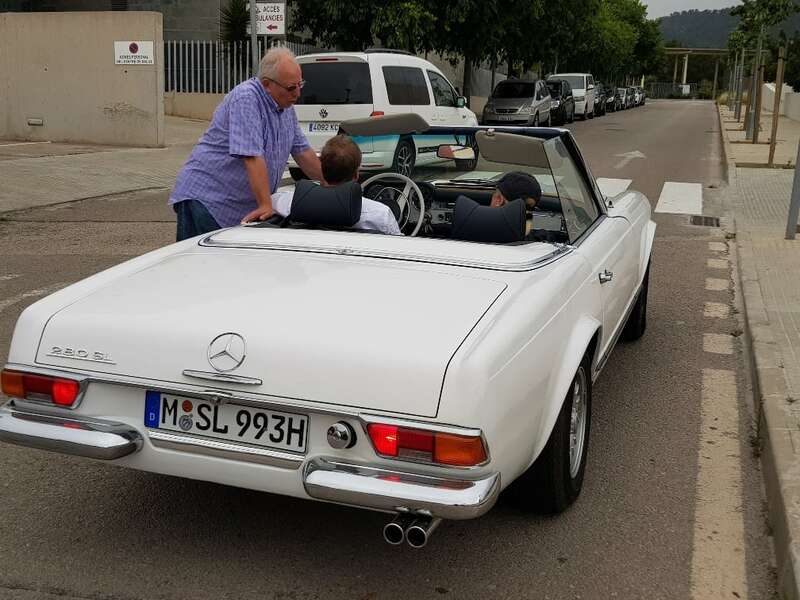 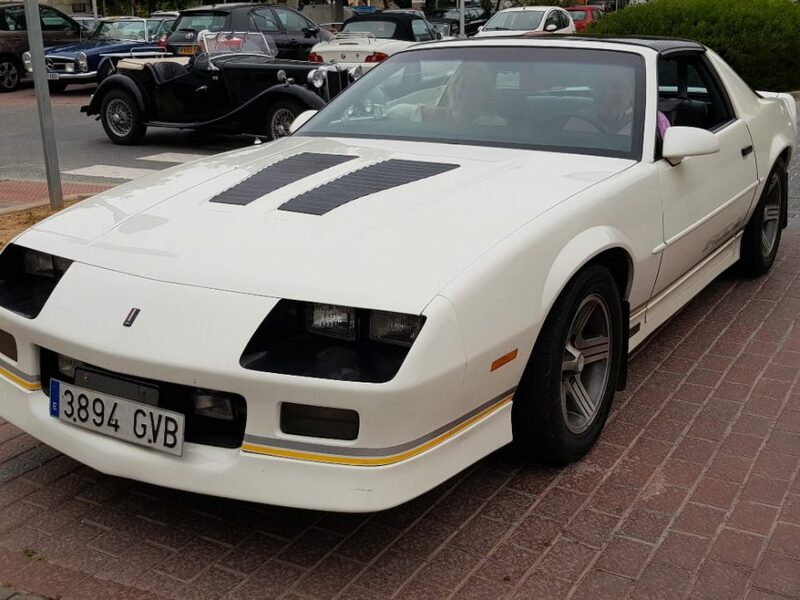 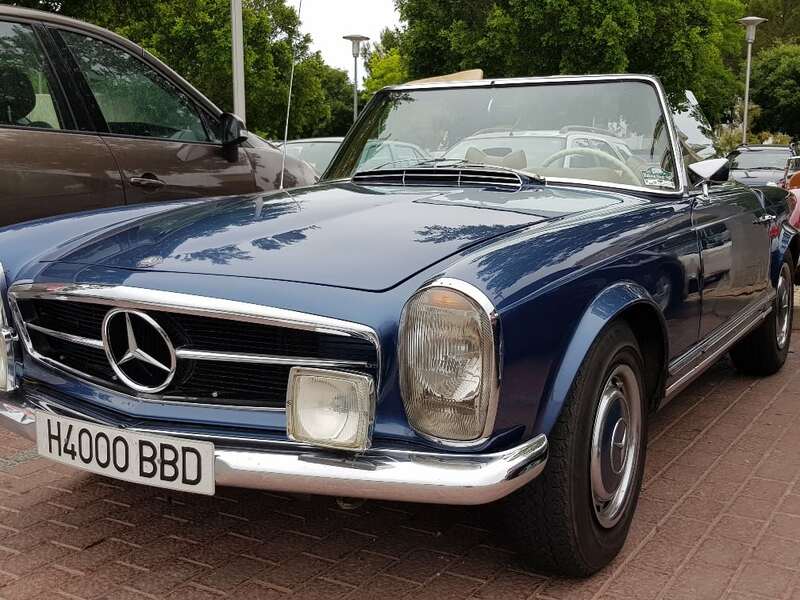 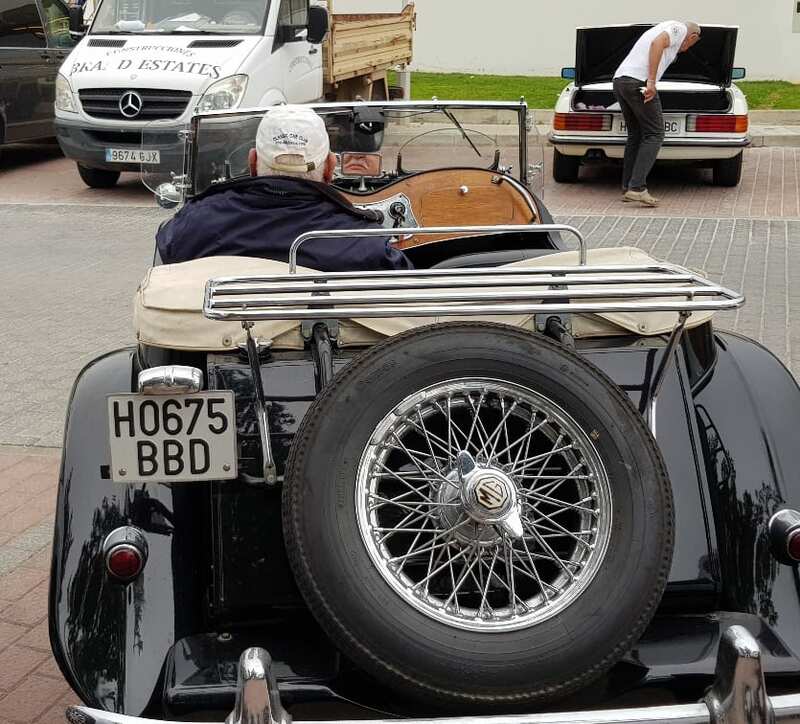 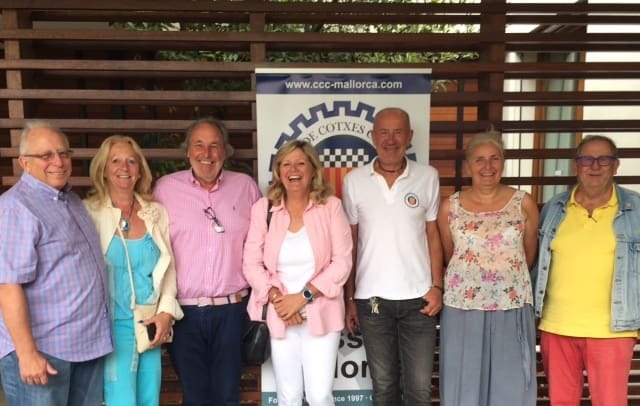 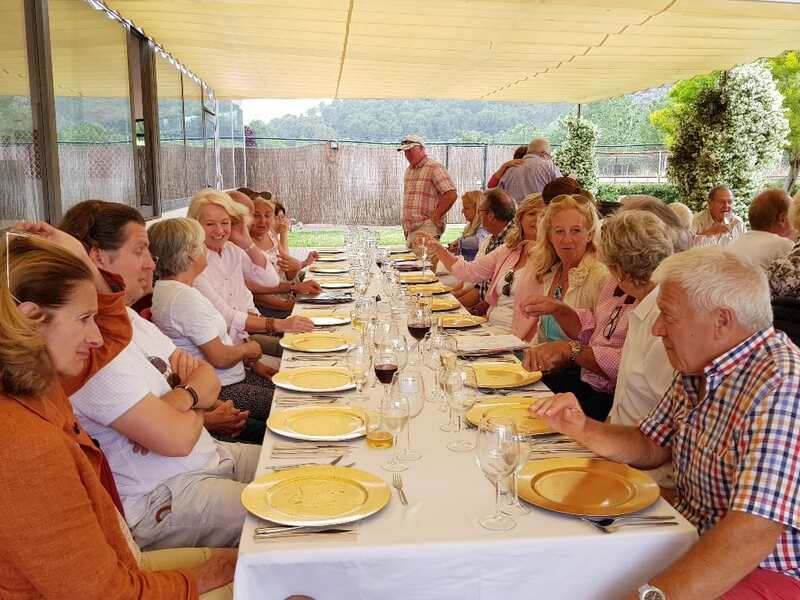 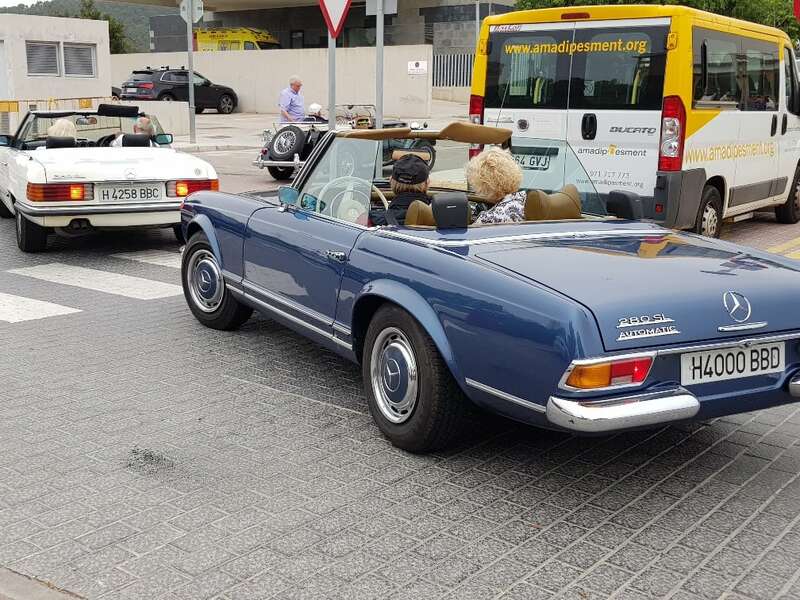 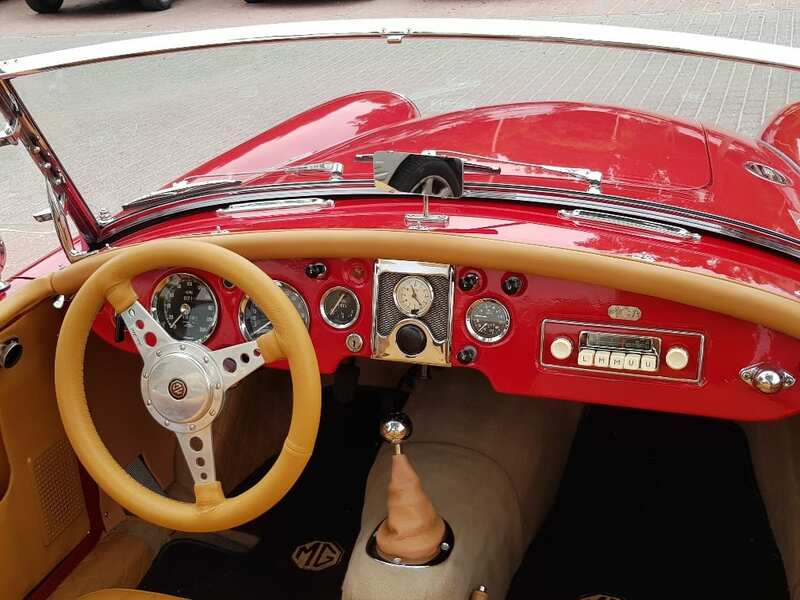 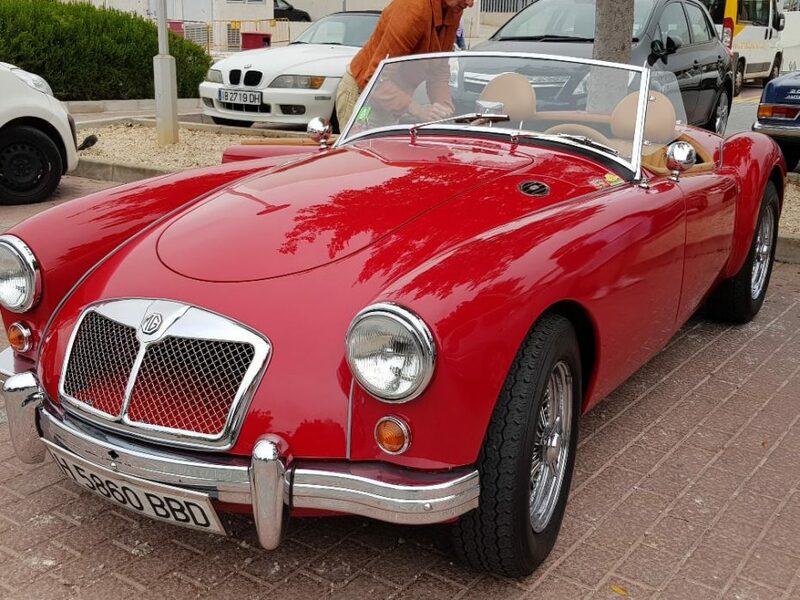 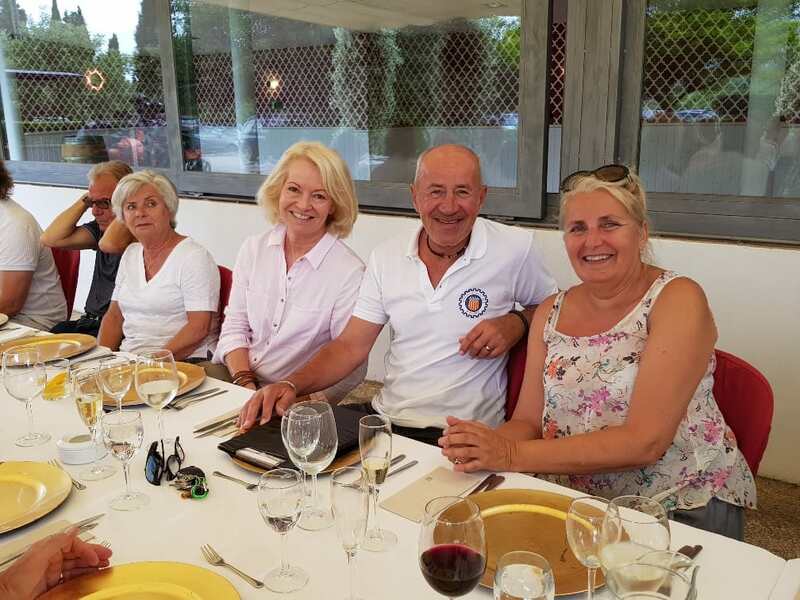 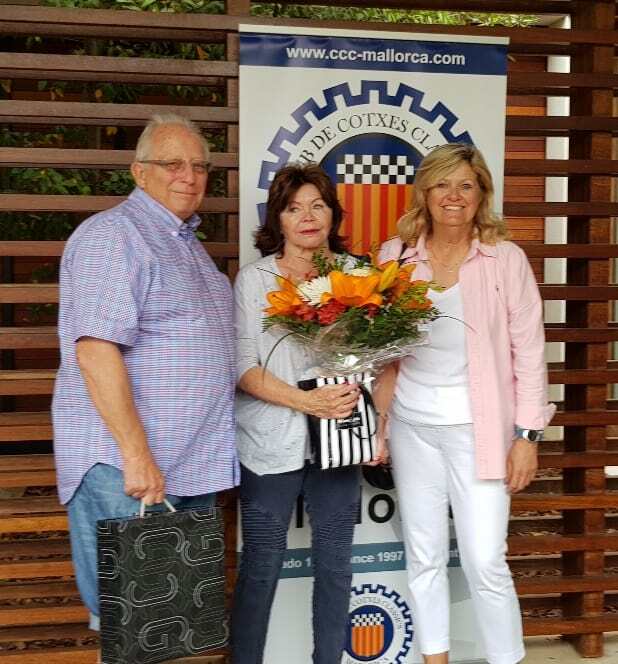 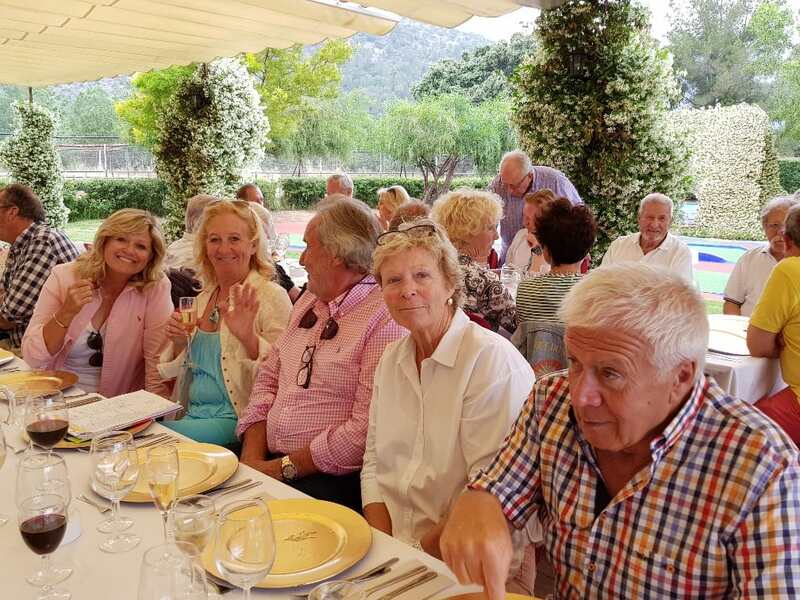 This month’s rally was organised by Peter and Jackie Roach, and was as varied as it was challenging, incorporating the Classic Car Club’s AGM, a drive to probably the highest mountain pass in Mallorca and a golf challenge that would test even a professional golfer! 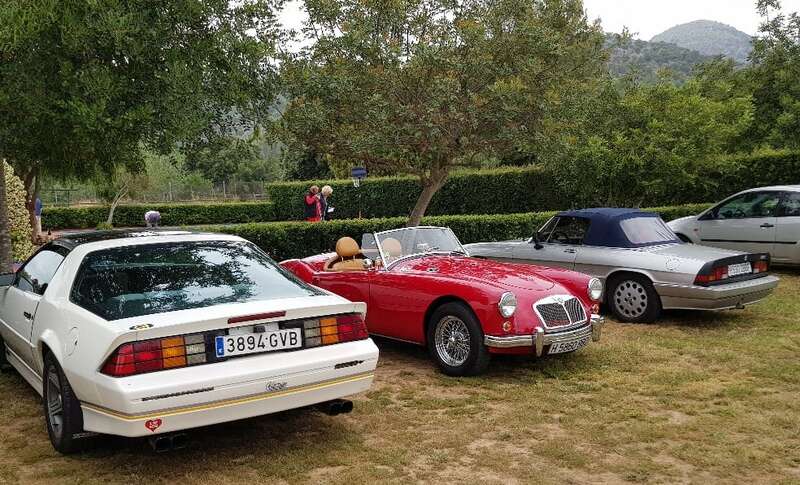 More than 36 members met at the Café Palmanova and were given a private area for the Classic Car Club’s AGM. 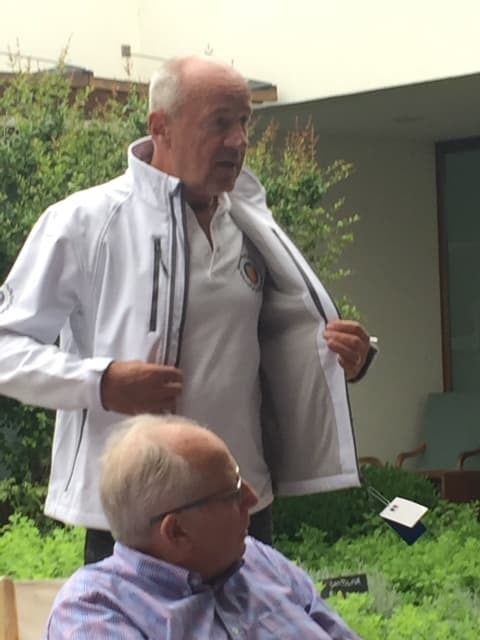 It was an eventful AGM as Peter Roach, the current president, resigned and handed over the presidency to Pam Gardner. 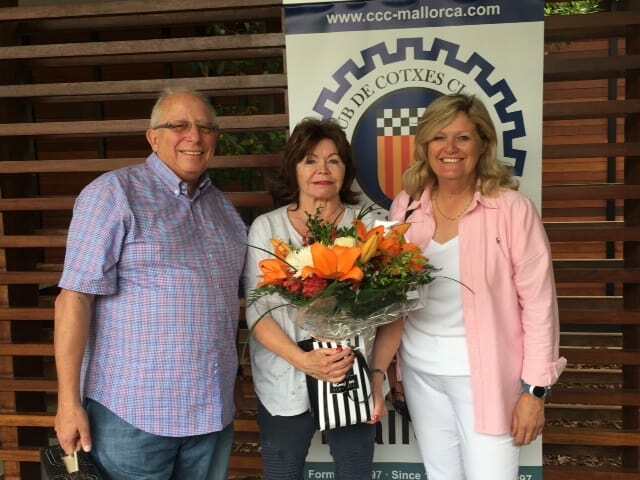 Pam and everyone present thanked Peter for his 10 years’ service as president and recognised his enormous contribution to the Club, from setting up the committee with its constitution to the regular rallies that we all enjoy today – indeed, during his 15 years as a member Peter has been involved in more than 40 events/rallies. 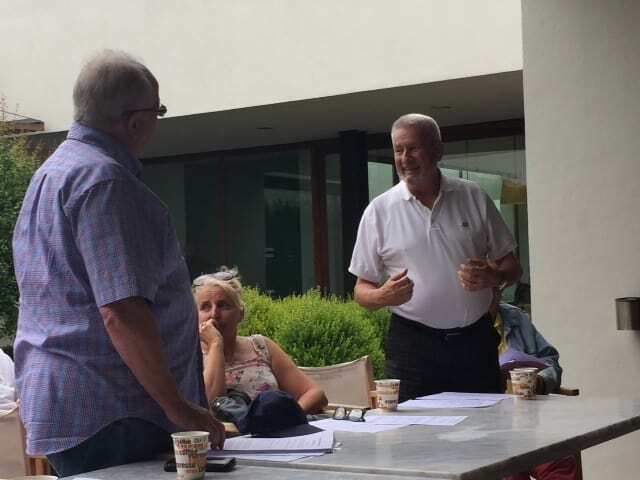 Helen Pitt was elected to the committee as Treasurer and Gordon Cox was also elected on to the committee. 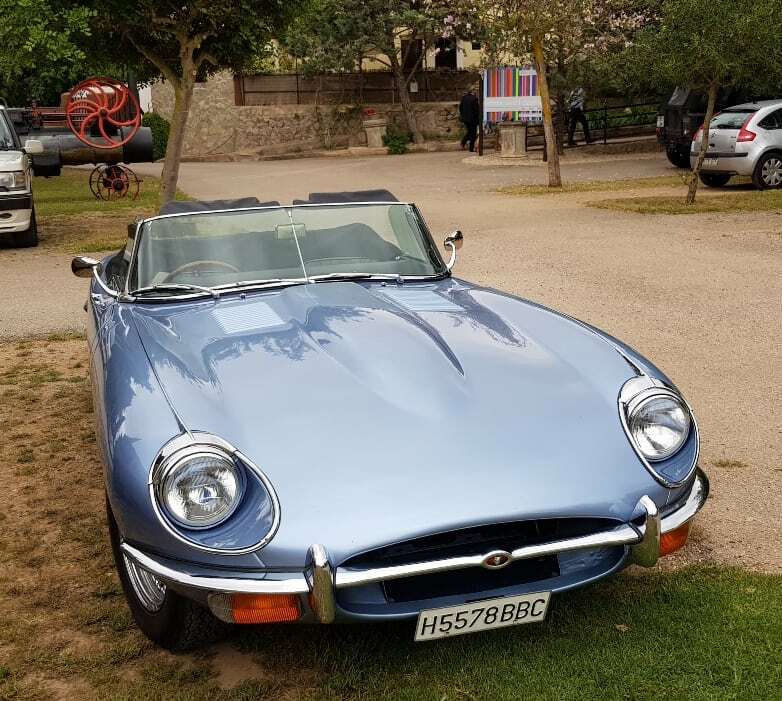 Jean Pierre resigned but said that he would still be happy to do his annual ‘Almond Blossom Rally’, which many of us look forward to and enjoy. 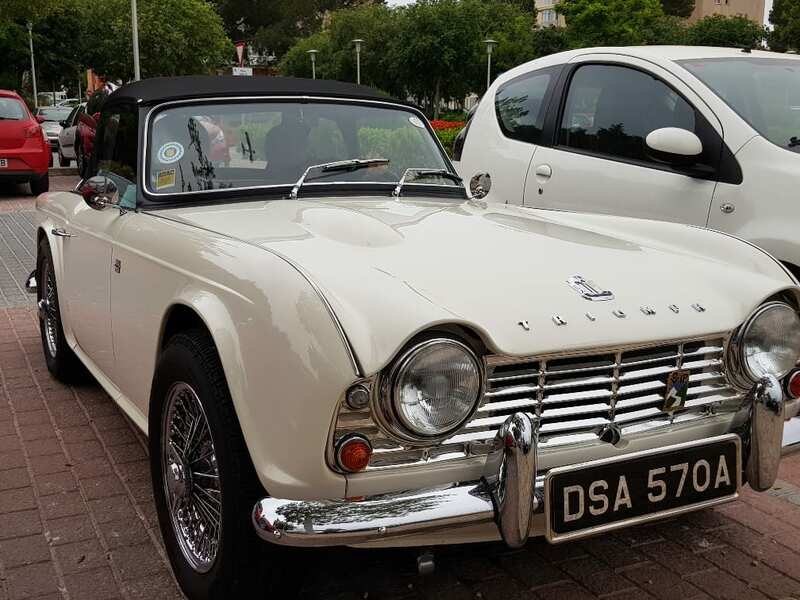 The rally started at 11.00am with members leaving the café car park at 1-minute intervals. 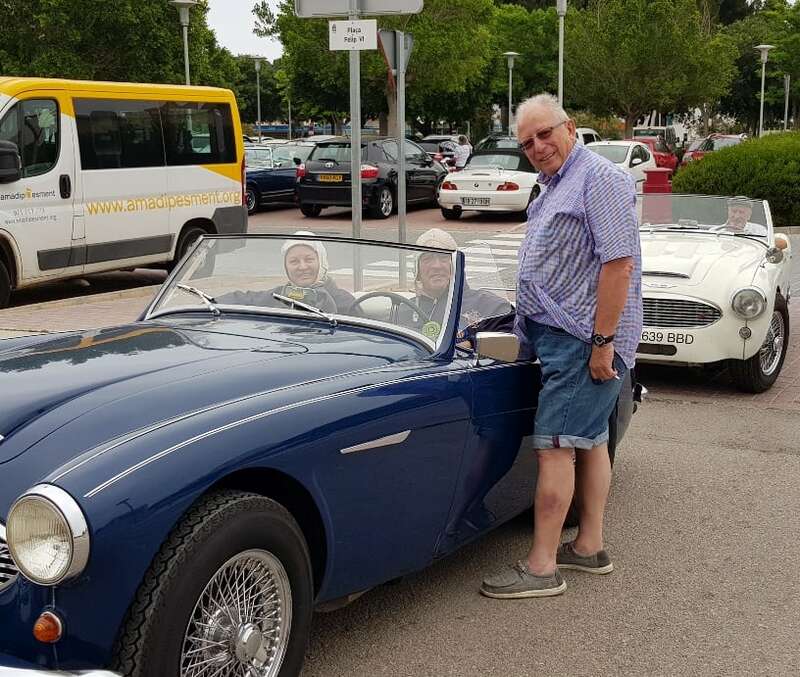 The route went through Calvia, Puigpunyent and up to Esporles taking in the southern section of the Tramuntana mountains. 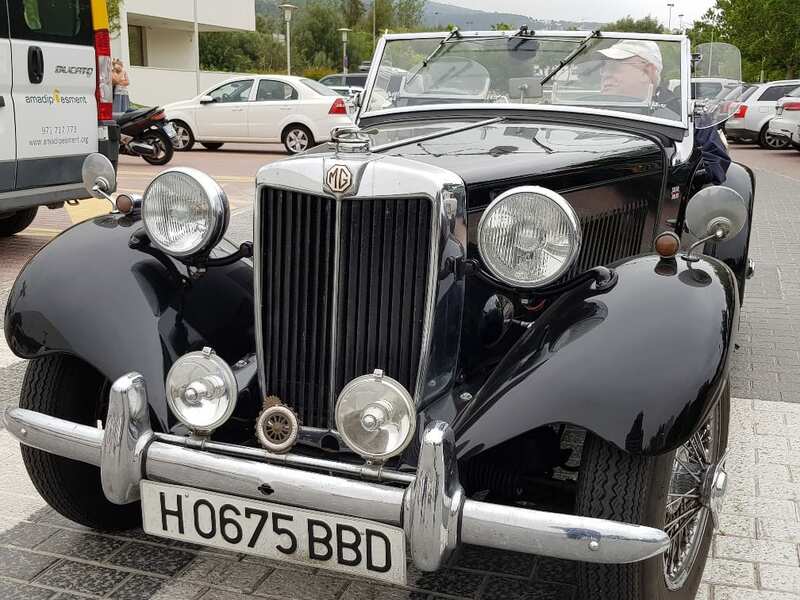 After approximately 22 kilometres, the route had taken everyone to probably the highest accessible mountain pass in Mallorca. 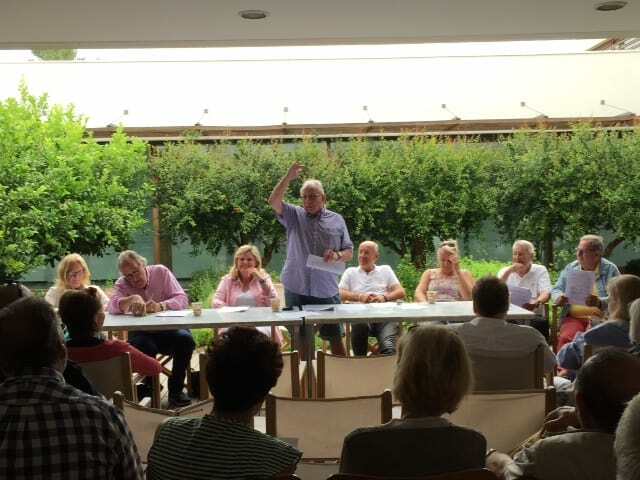 Drivers were asked to try and guess the height above sea level without using their phones! 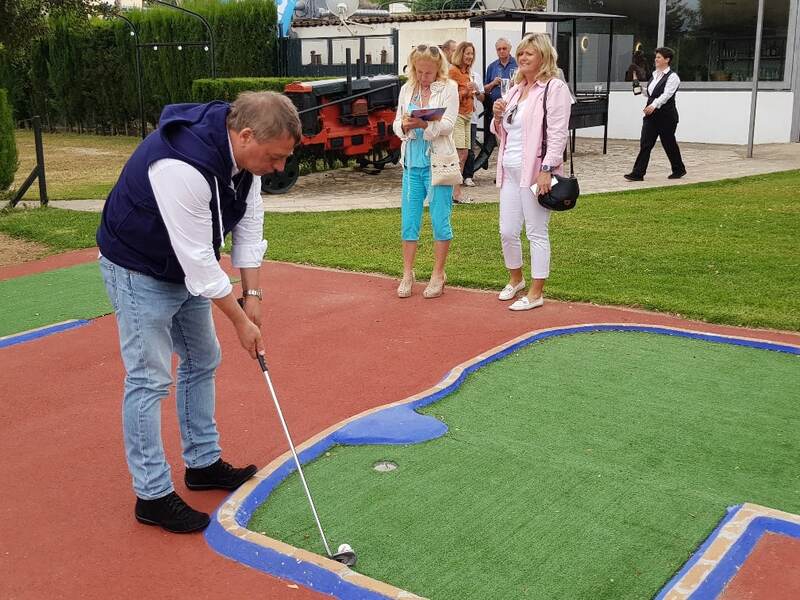 The answer was 1415 meters! 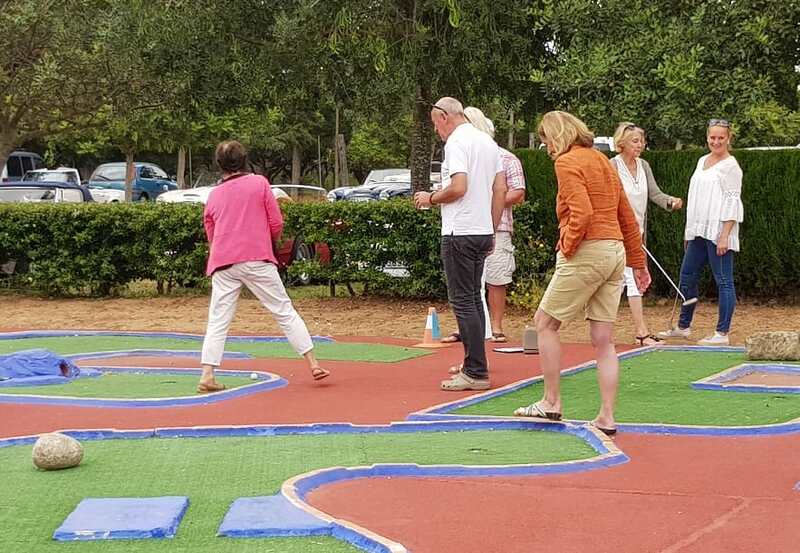 This was a comparatively short rally, taking just over an hour to complete, but this meant there was time for a golf challenge at our lunch destination. 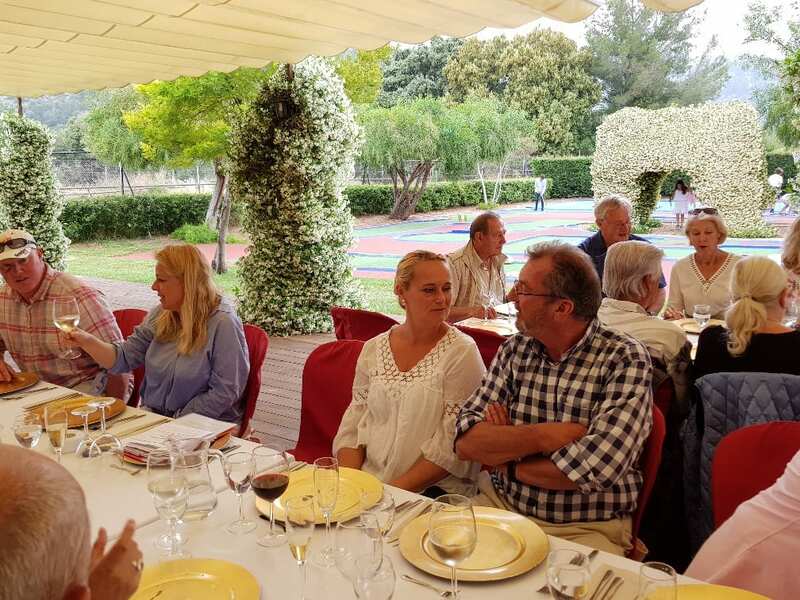 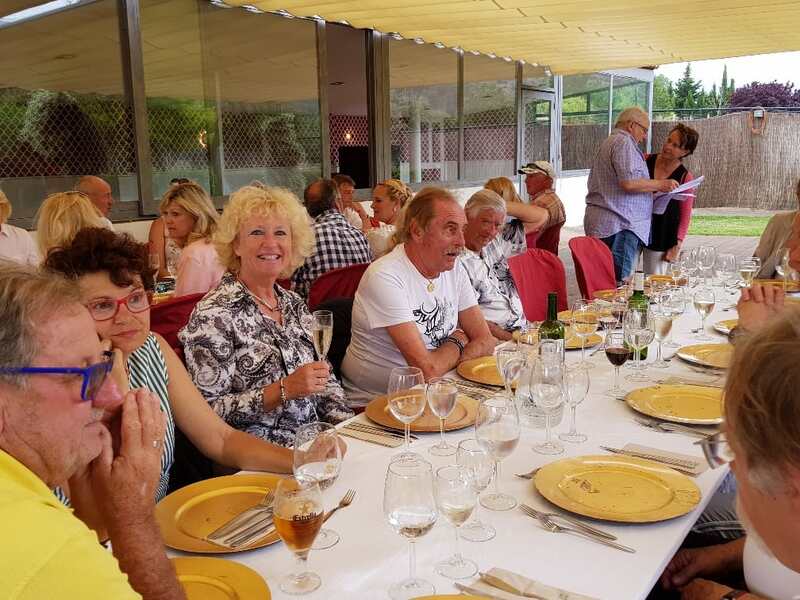 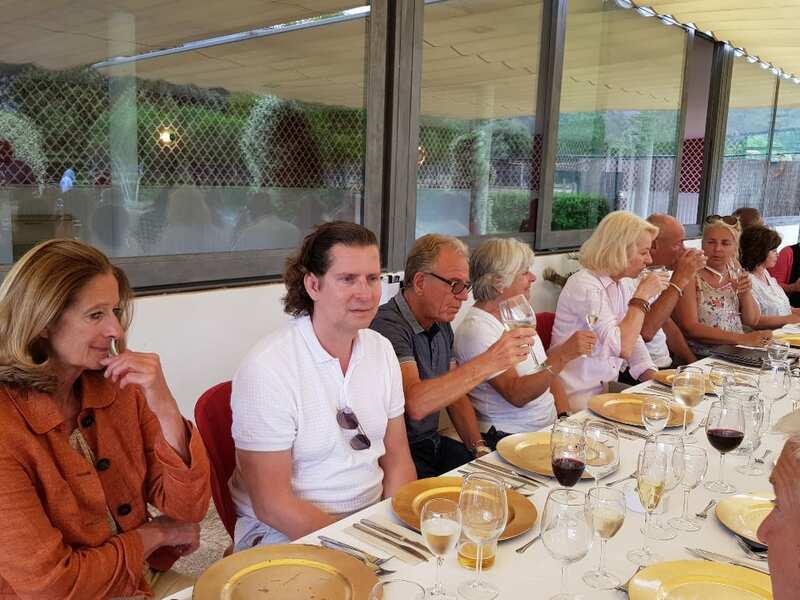 Everyone made their way to the LoftOtel Canet, Esporles and its adjoining restaurant called Quay, which is at the foot of the Tramuntana mountains. 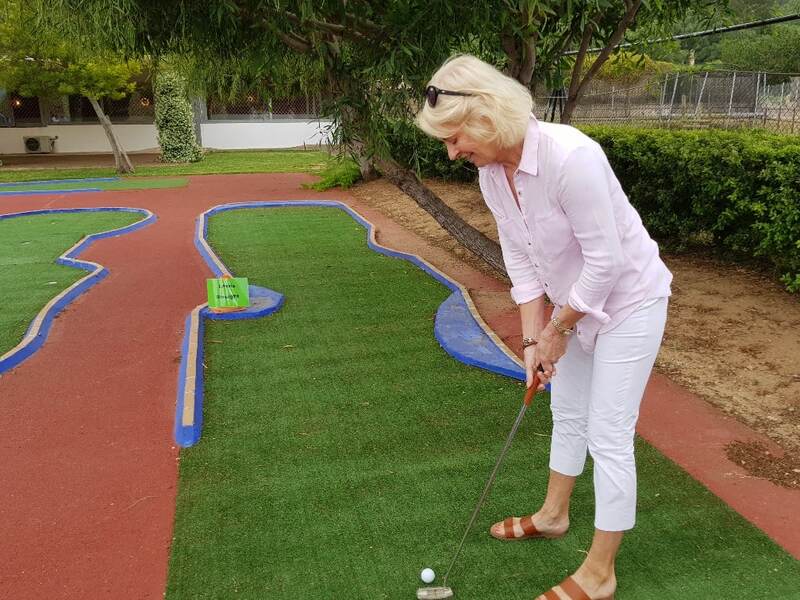 This finca style hotel is set in 40,000sq mtrs of land, sufficient for there to be a substantial crazy golf course. 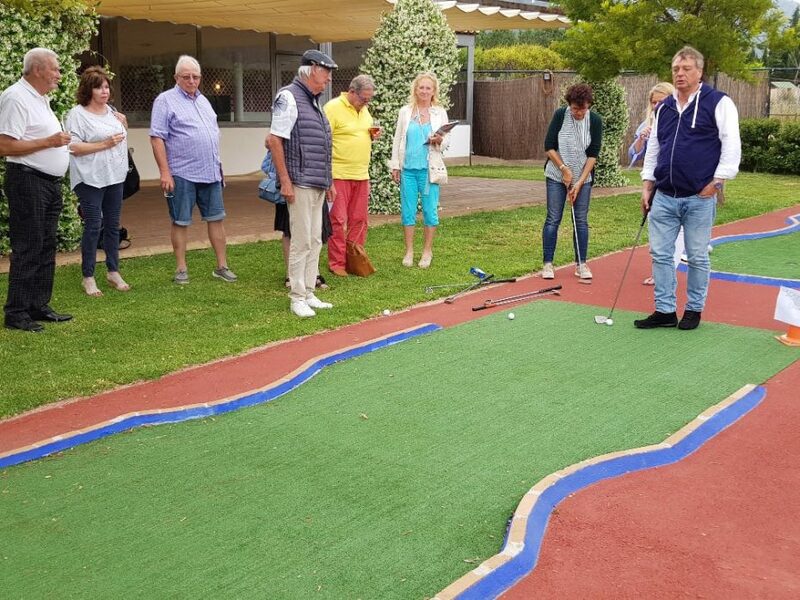 Golf clubs and balls were handed to members and their challenge was to see how many shots it would take to navigate and complete 6 of the holes. 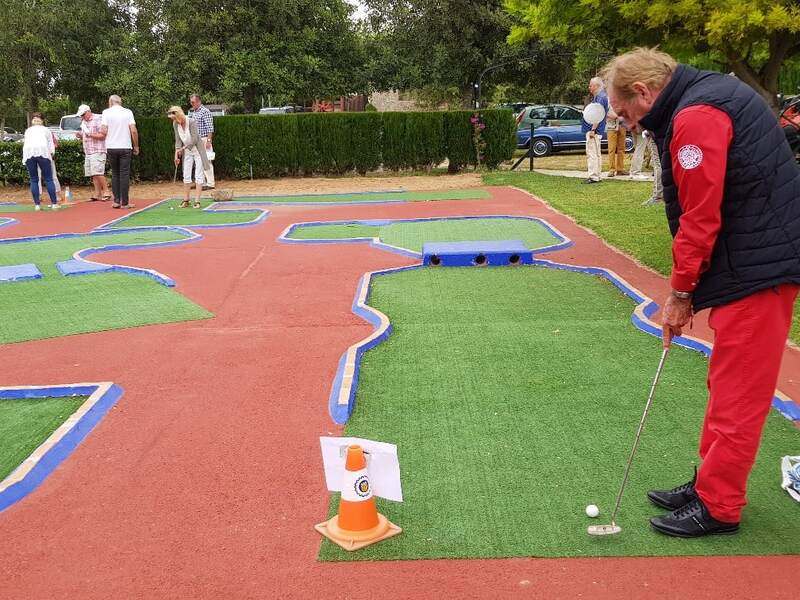 Holes were named to represent the layout and difficulty, such as Lewis Straight, Senna Chicanes and Damon Hill and a lot of fun and chaos ensued. 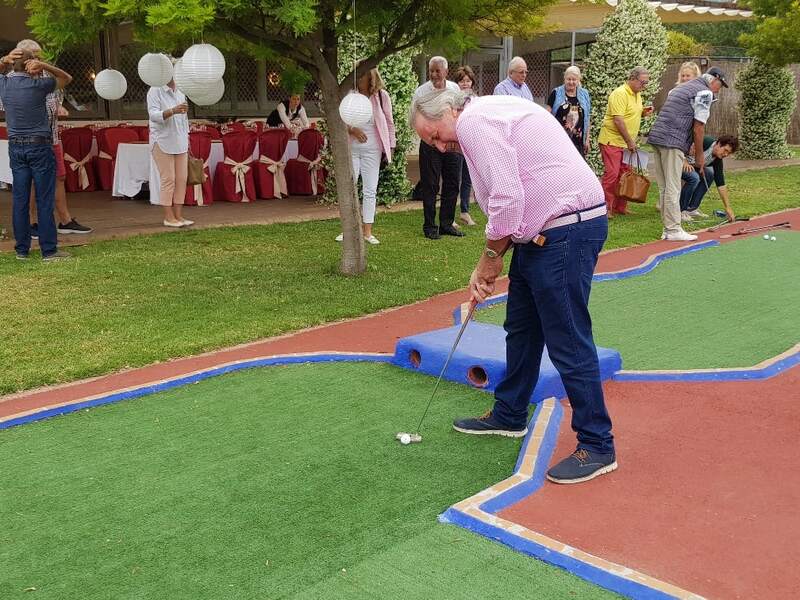 One member, Dennis, and the eventual winner of the rally managed a hole in one! 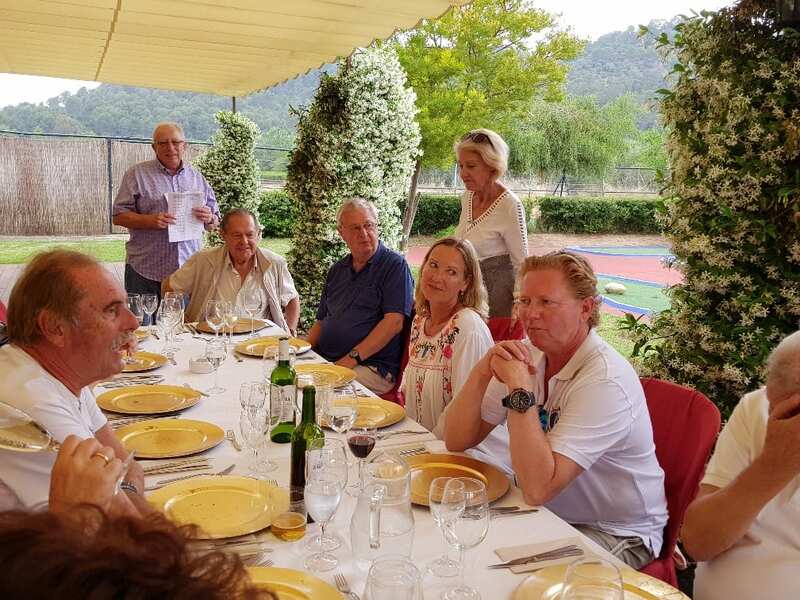 With the frivolities over and the golf clubs put way, everyone enjoyed a delicious 3 course meal in a private area of the hotel grounds. 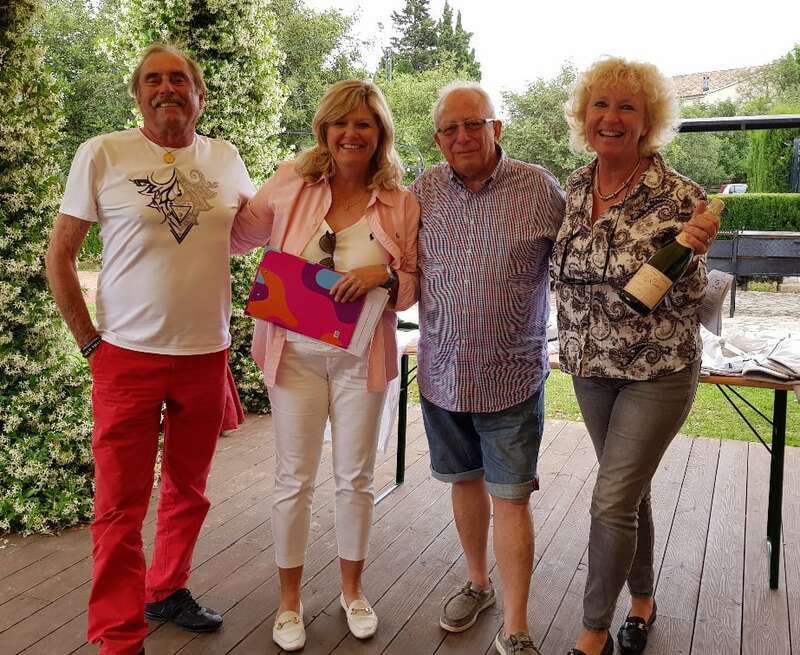 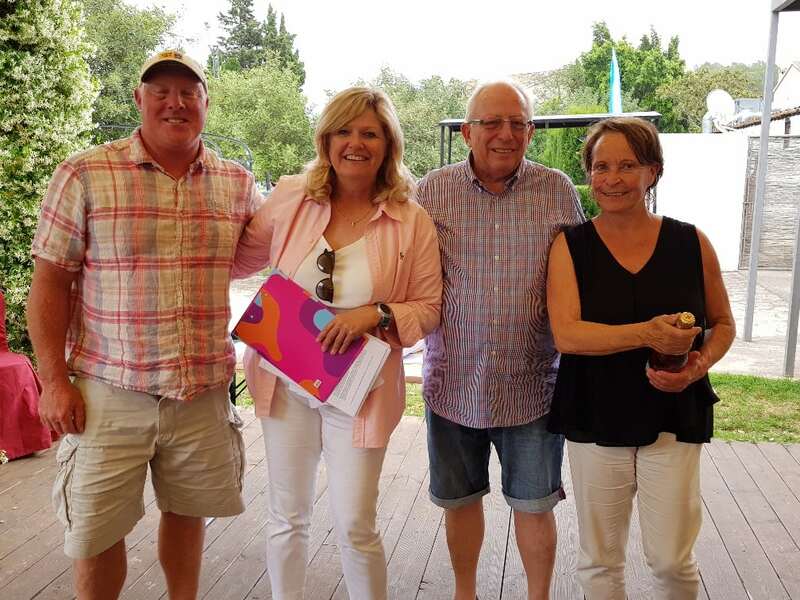 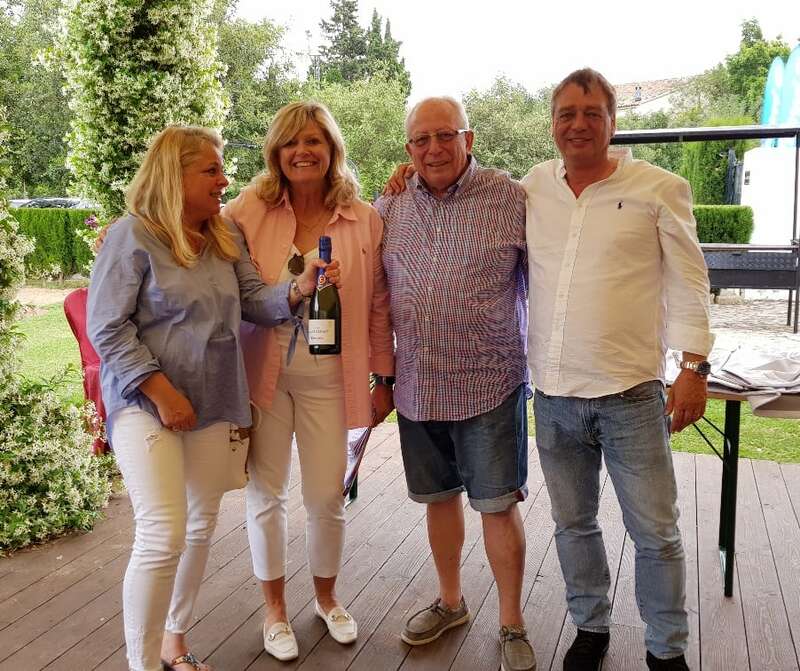 The winners of the rally and the golf competition were, in third place: Michael and Sabine Lobecke, in second place: Elmar and Irene Buschman and the first-place winners: Trudy and Dennis.